Comiket, aka Comic Market, isn't only about comics. It's also about cosplay. Oh, and plastic figures. At this year's Comiket, which runs Dec. 28 to Dec. 31 at Tokyo Big Sight, famed Japanese figure makers are showing off upcoming statues: some are finalized production models, while others are unpainted prototypes. 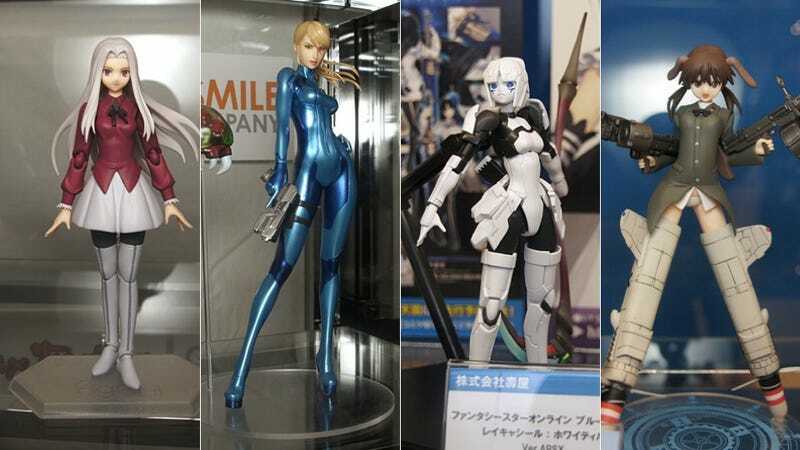 In this gallery, with photos courtesy of website Moeyo, Sega shows off its arcade redemption toys, while Good Smile Company displays a range of new figures. More in the links below.